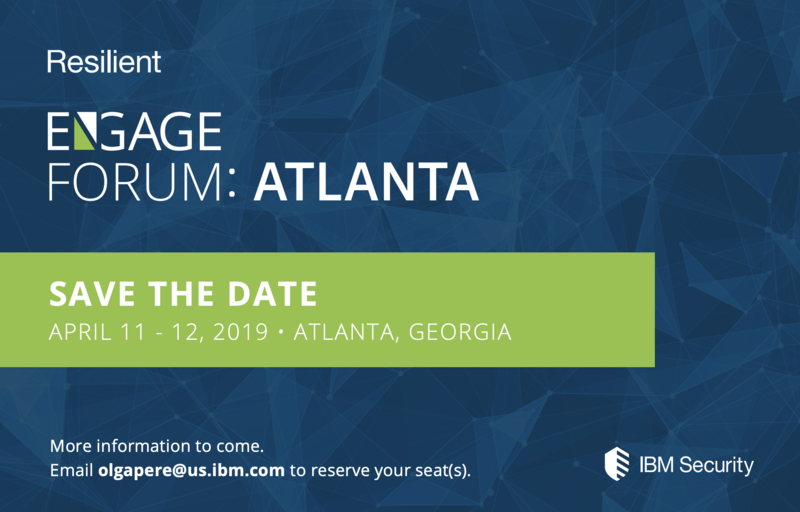 Engage Atlanta is an opportunity to join forces with regional security leaders and discover new ways to battle cyberthreats. As part of this immersive two-day forum, you'll gain insights, learn best practices from your peers, discuss proven strategies to combat the toughest cyber challenges, and get hands-on training to leverage Resilient strategically in your environment. View the Atlanta's visitors' guide to make the most of your time at the Engage Forum.